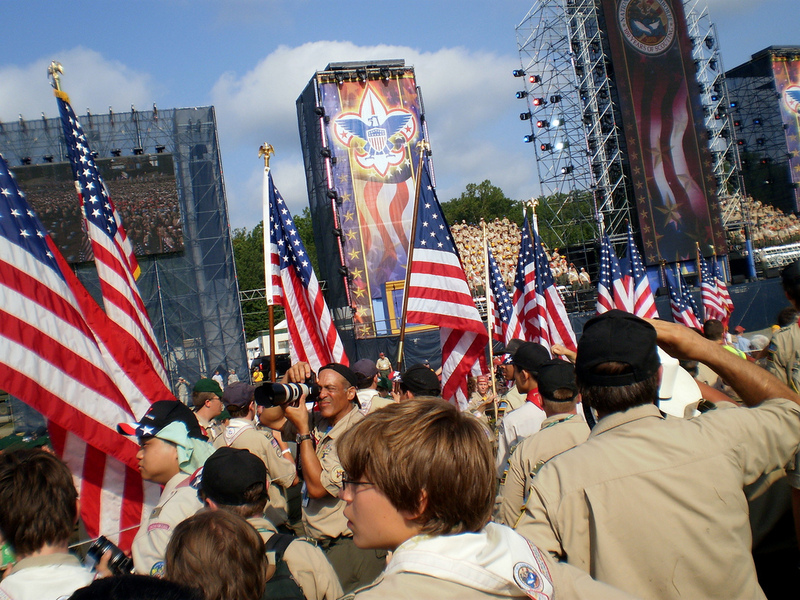 Boy Scouts gather at the 2010 National Scout Jamboree in Fort A.P. Hill, Virginia. The Boy Scouts of America is expected to vote Wednesday on whether to lift a ban on gay members at the national level. If the vote passes, the decision on whether or not to allow gay members would be left up to individual troops. The issue is dividing some Chicago area churches, many of which serve as meeting places for Boy Scout troops. The Rev. Keith Williams, who’s pastor of Cornerstone Christian Fellowship Church in Country Club Hills, is against lifting the ban. He said he’s against any leader, gay or straight, who strays from the church’s teachings. “I would not like to see them superimpose a gay lifestyle on a young man, because I don’t know where sexuality becomes a function of teaching Scouts how to do what Scouts should have to do,” Williams said. "If they did lift the ban, I&apos;d probably want more to host [a troop] simply because we could make sure young people are not led in one direction, in the direction that&apos;s opposite to the word of God," Williams said. "We would be able to watch, at least." While Beukema&apos;s church doesn’t currently have a troop, the pastor says she&apos;s interested in hosting one if the Boy Scouts lift the ban. But if they vote "no" this Wednesday, that would change. "It totally would alter our interest, just in basic principal. We would not be in allegiance with people who would discriminate against others," Beukema said. "It wouldn&apos;t be within our mission plan."